International Ministry is Thriving -Covered LE in Quebec! Several years ago, I (Jonathan) had the privilege of meeting Eric Beauchamp, an officer who drove from Quebec to attend the FCPO-USA Conference. Since that time, God has moved in spectacular ways to develop a thriving Fellowship of Christian Peace Officers Chapter there. Eric took our Covered Law Enforcement logo and ministry materials back, and has on more than one occasion asked for more to distribute. Help us celebrate and give all glory to God for the way He is moving in law enforcement! Those of you who support this ministry are making it possible for us to reach officers for the Kingdom. I have placed your decal on my locker when I came back from Chattanooga 2 years ago and people keep asking for your decal! There is a pin on my vest which looks like a service medal. So when people ask me who I saved to earn that medal I tell them that I didn’t save anyone but that someone actually saved MY life and not the other way. Then it opens amazing doors to preach Jesus’ name!!! Some have placed it on their motor bikes and on their tablets! But your pin is definitely the most appreciated! A female officer from a different PD even stole it from one of our PD officer’s shirt telling him to find another one for him!!! And if you could only know how your pin opened doors to share the Gospel on the job. It’s even beyond my expectations! There is also a picture of the decal on a car, on someone’s motor bike helmet, on a tablet and you already have the picture of the decal on my locker at the job. Finally, I told a friend of mine at my church who is a mechanic about the FCPO and shown him your decal. He found it so cool that he is currently looking to start a ministry just like the FCPO but for mechanics. He already found some informations on internet about mechanic ministries in the US and it’s without any surprise that he has proudly put your decal on his toolbox so everyone at the job will ask him the meaning of the decal and then he will have a huge opened door to testify! Your decal not only made it’s way throught LEOs but it also sparked something in someone’s heart strong enough to create a ministry!!! God bless you a 1000 times! For more information on FCPO-Canada, visit www.FCPOCanada.com. 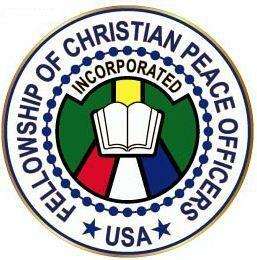 For more about FCPO-USA, visit www.FCPO.org.